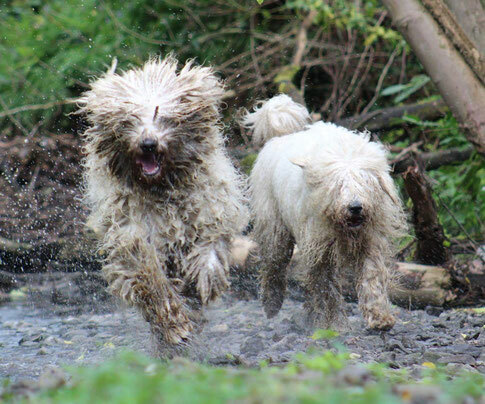 Komondor are large, active dogs, they will not be happy in a flat or without a garden to call their own. They are loyal and devoted, nothing will come between them and those they call their own. We ask you to please FILL IN THE QUESTIONS IN BLUE at the bottom of this page when sending in an application email to reserve or purchase a puppy from us. Choosing a Komondor is a long term commitment, approx. 13 years! Please ensure you are positive about your decision before adding a Komondor to your family. Rastace is located in Northern Ireland, we will help with transport when required, contact us for more information. No Komondors currently available! Please check on our Breeding Plans page for news of future litters and contact us to find out more.